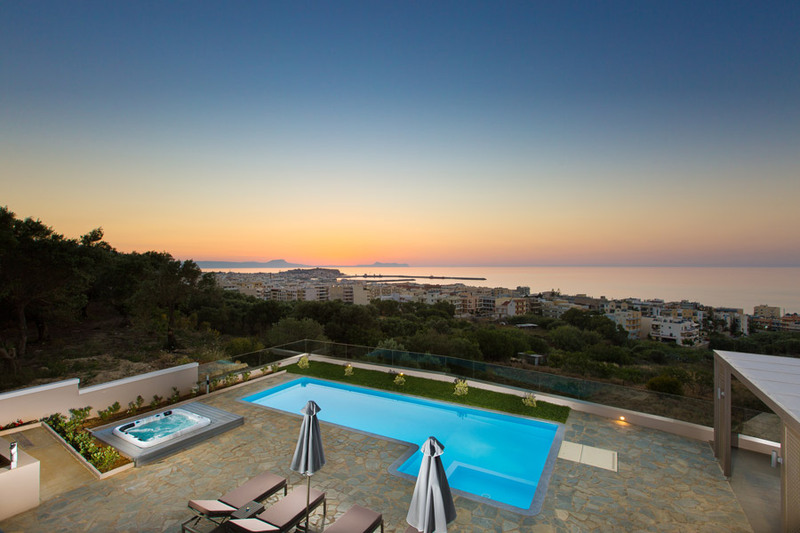 Premium Villa with Panoramic Sea Views, walking distance to beach! 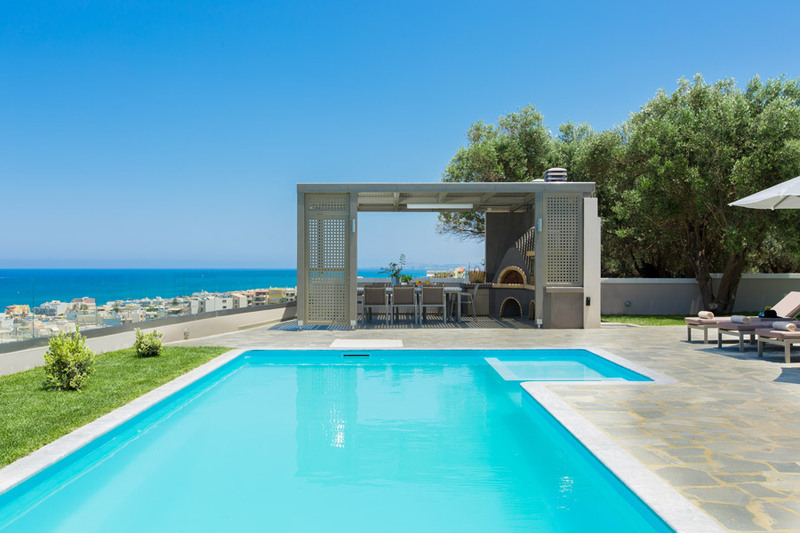 Hidden on a hill overlooking the city of Rethymno, close to Kastelakia area, Villa Naya is a 300 square meters luxury villa for demanding holidays! 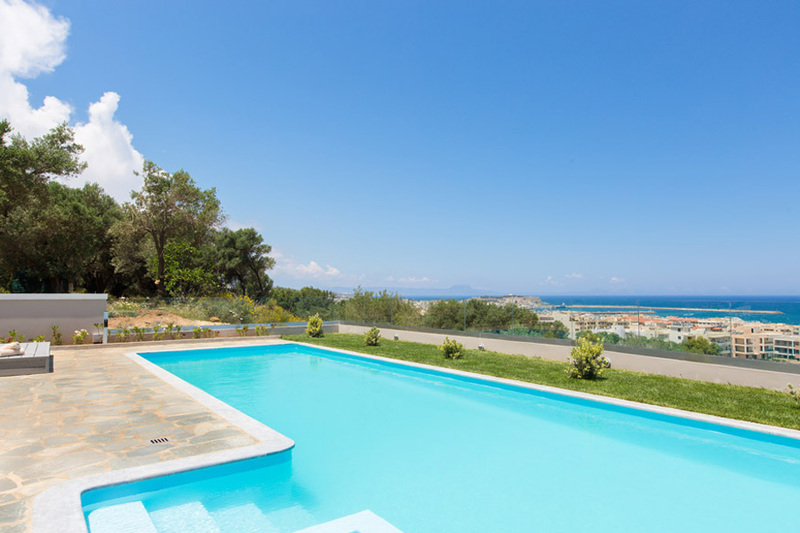 It is located in a private land surrounded by olive trees and on the outskirts of Rethymno city offering the best location and sea view that you can find if you are searching for a villa close to the town and the beach! 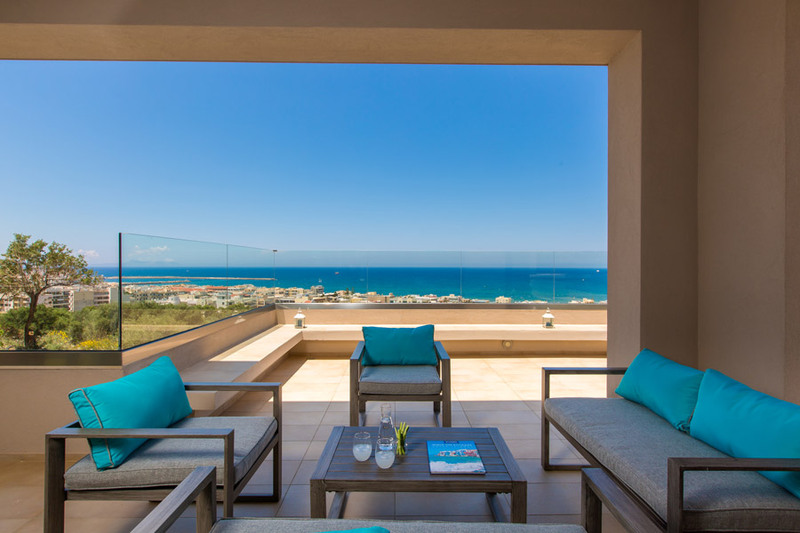 Relax and enjoy the quietness of the natural environment and a variety of sea and sunset views from any angle of the pool area and balconies. 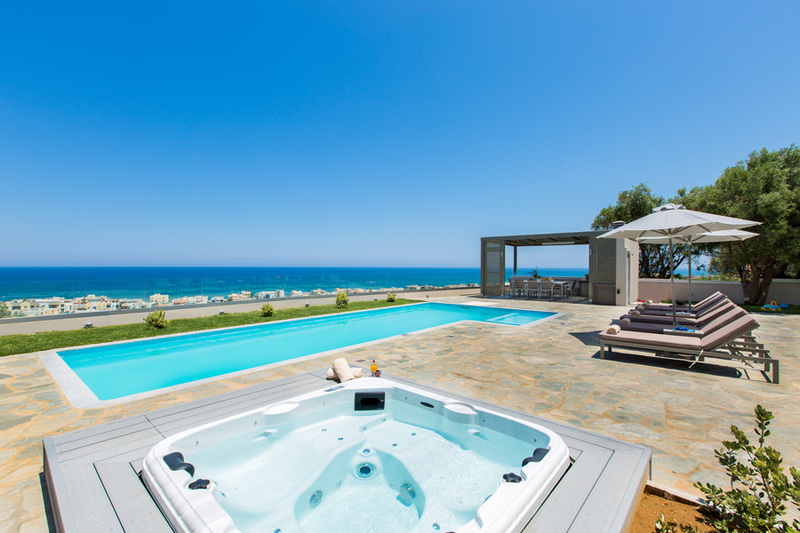 Totally isolated but close to everything as Rethymno city centre and the beach is only 1 km away, the villa offers full privacy to our guests and a variety of facilities for the whole family to be happy. 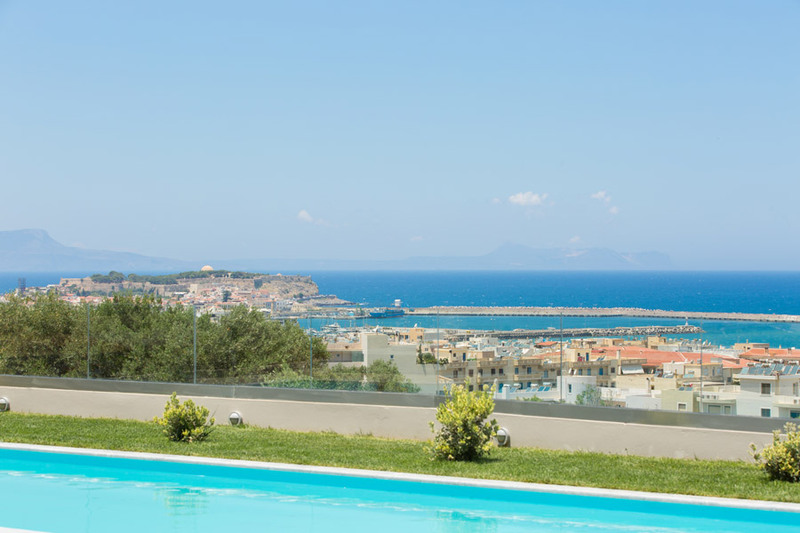 - The best panoramic views of the city and the beach that a villa can offer! 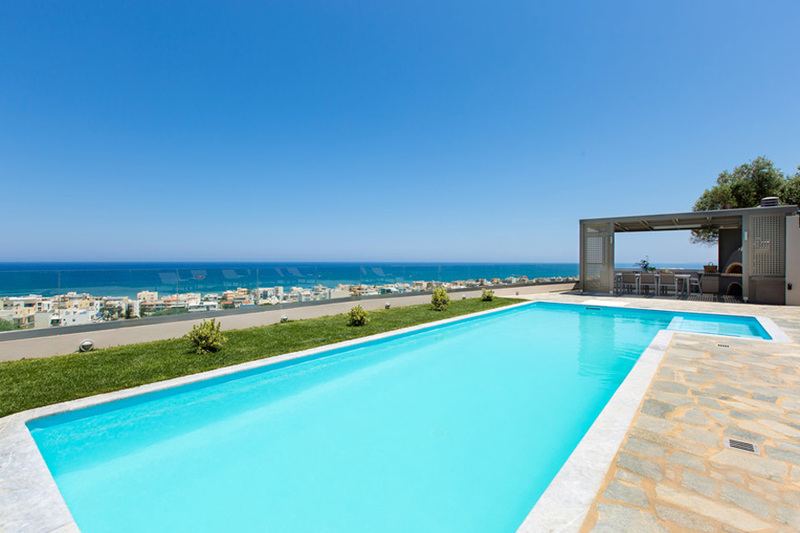 - The location, the villa is situated only1 km away from the city of Rethymno and the beach where you can find everything. 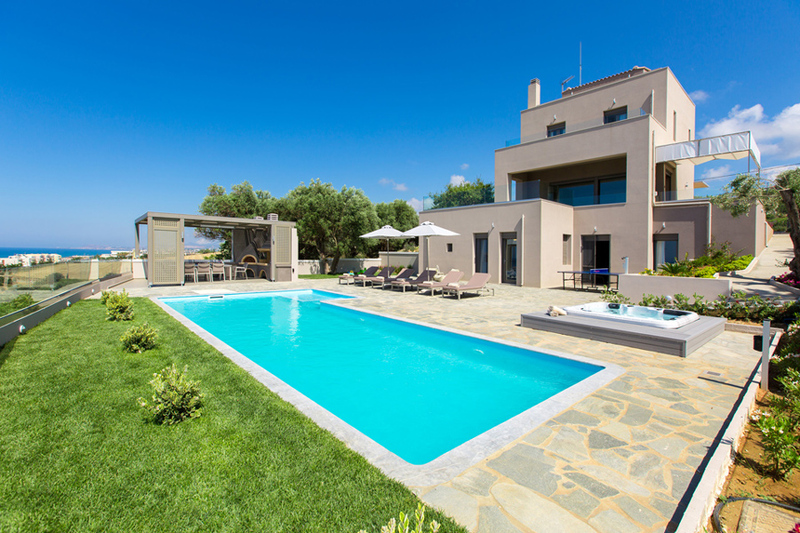 Also it is an ideal base for making excursions as it is close to the national road in the centre of Crete. 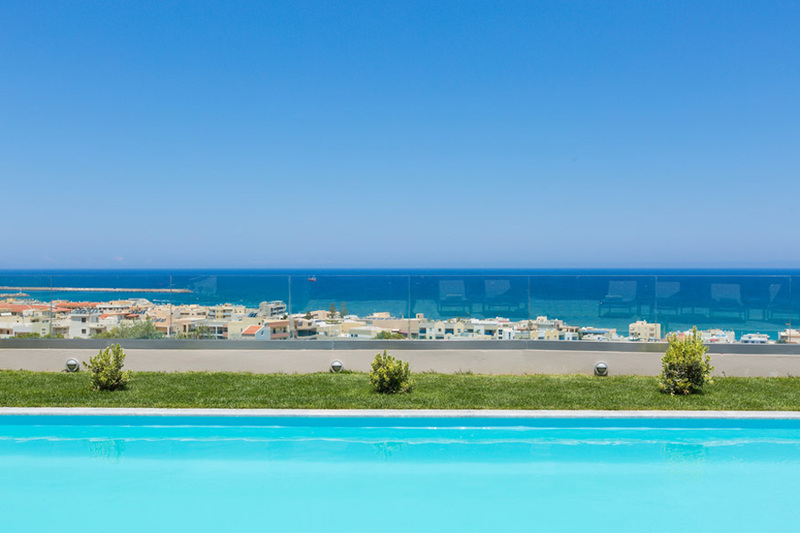 - Only 1 km away from the long sandy beach of Rethymno with the numerous water sport facilities and also it has easy access to various different sandy beaches in the North coast. 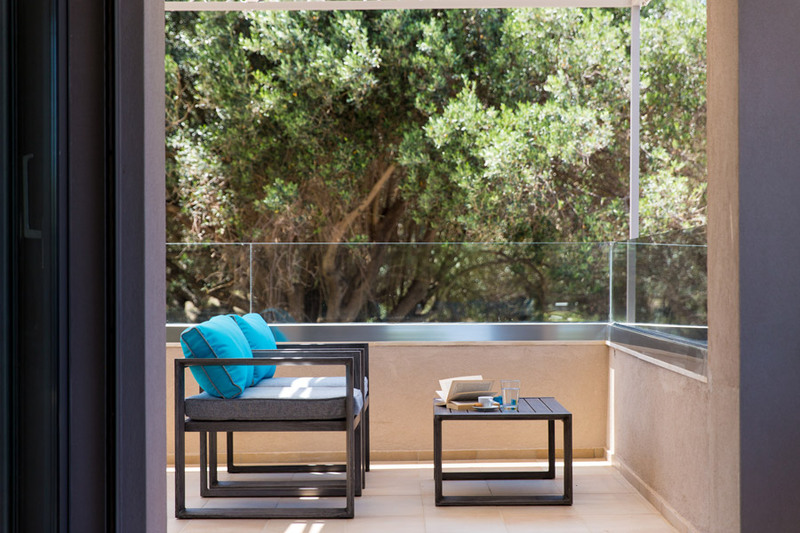 - Totally isolated and offering full privacy in a quiet outdoor area without noises from neighbouring houses. 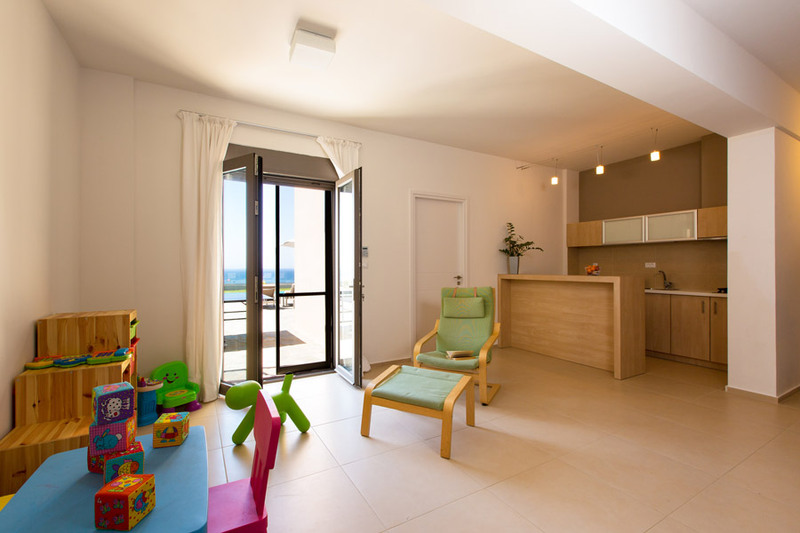 - There is an organised children park with a small zoo and soccer field in a distance of 450 m from the villa where you can leave your children to play with professional educators. 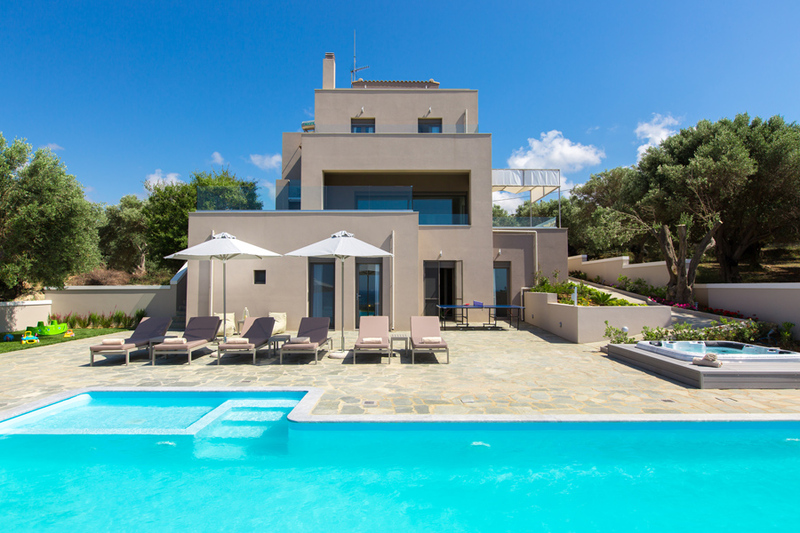 This three-storey villa can accommodate 10 people in beds. 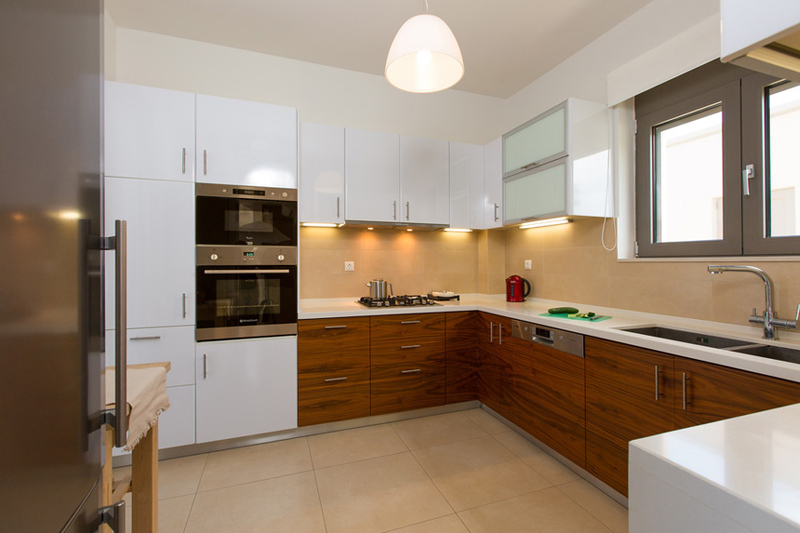 It has 3 main double bedrooms with en-suite bathrooms and 2 single bedrooms. 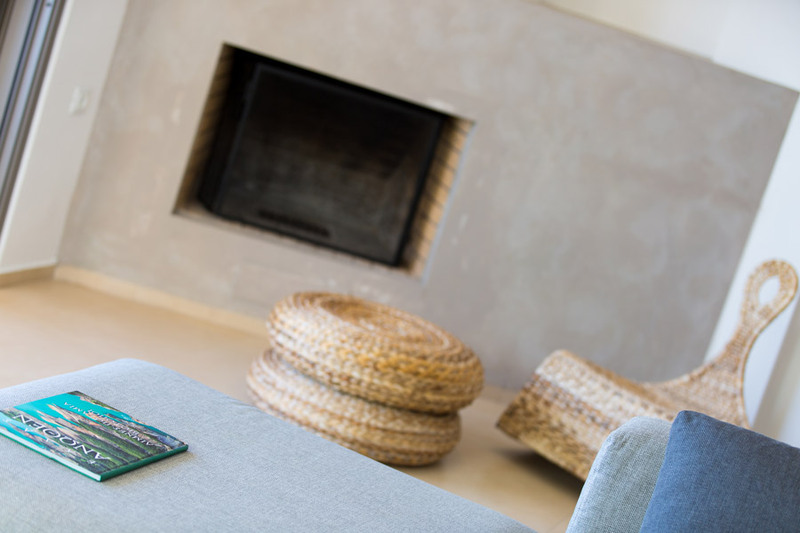 Entering the villa on the ground floor there is a spacious open plan area which consisting of the living room with a fireplace, satellite HDTV and direct access to the main veranda, the indoor dining area and a fully equipped kitchen. On the same floor there is also a small WC. 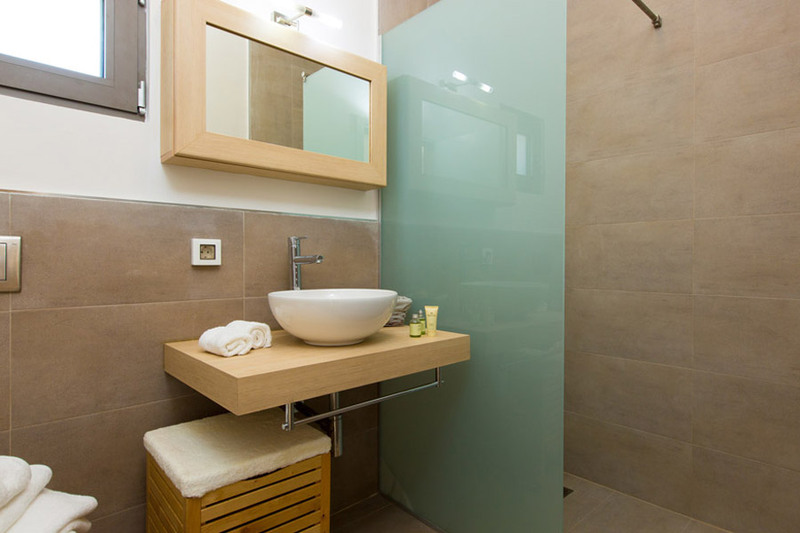 Reaching the first floor from the stairs or the elevator which connects all the floors, there are 3 bedrooms and one bathroom with bath. 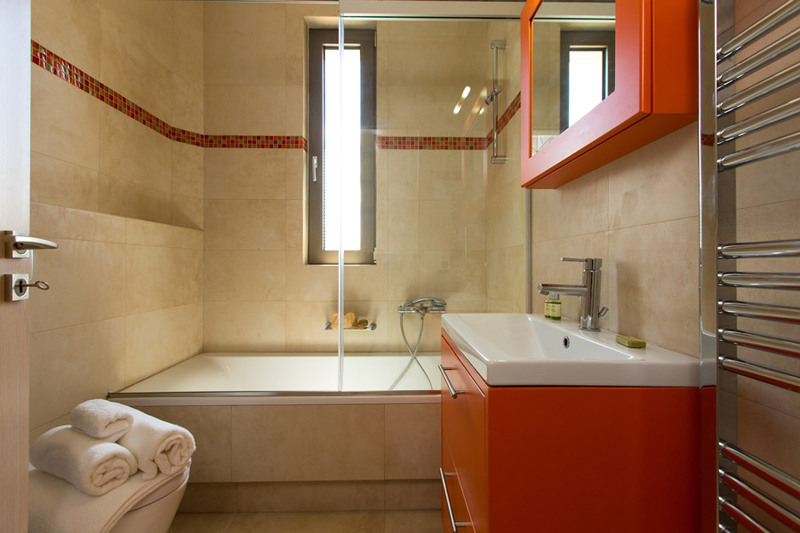 One bedroom has a double bed and en-suite bathroom with Jacuzzi bath and the other two bedrooms have 2 single beds in each one. 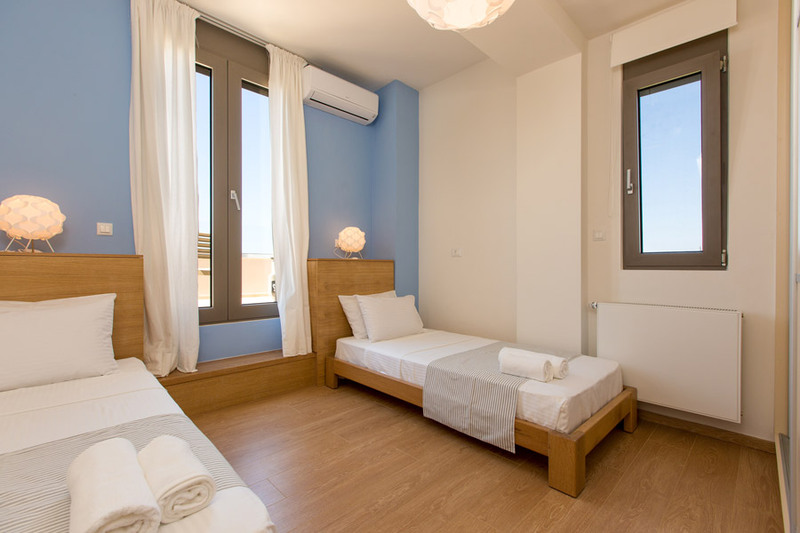 The single beds can be set up as double bed as well. 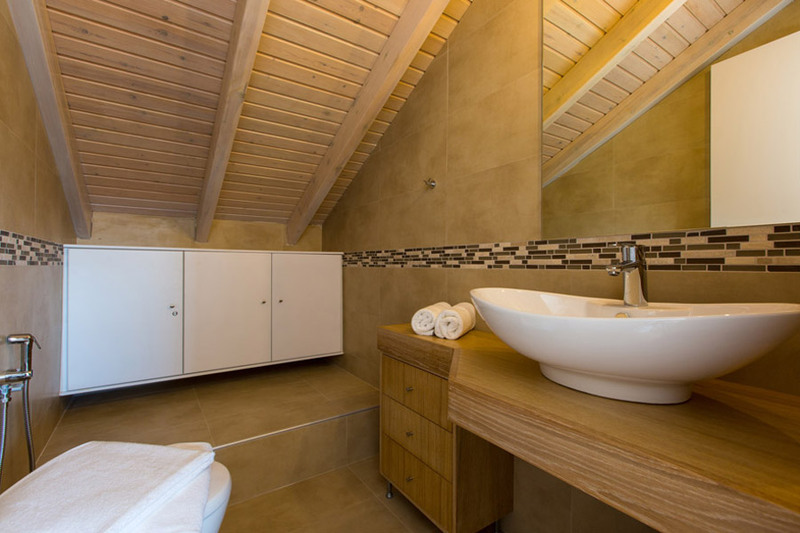 In addition, on the top of this level there is a loft which has a double bedroom and en-suite bathroom with shower. 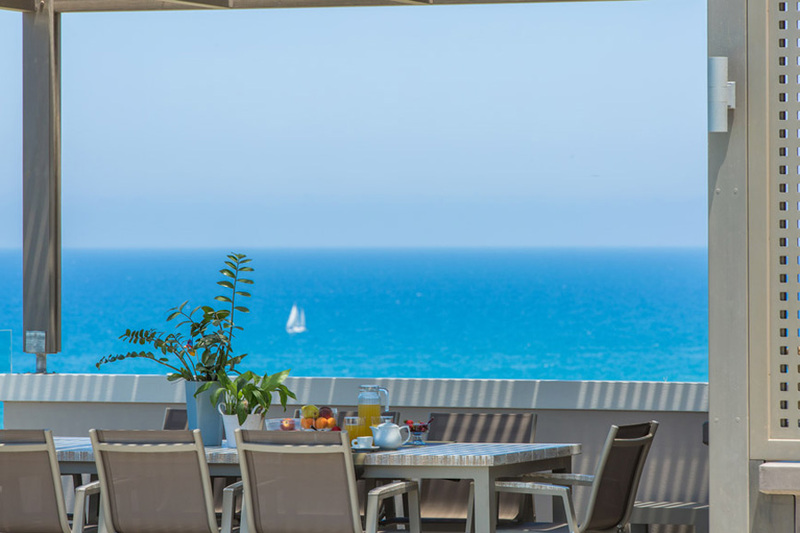 All the bedrooms have air-condition, closet, window screens and access to balcony with sitting areas and panoramic views of the city and the sea. 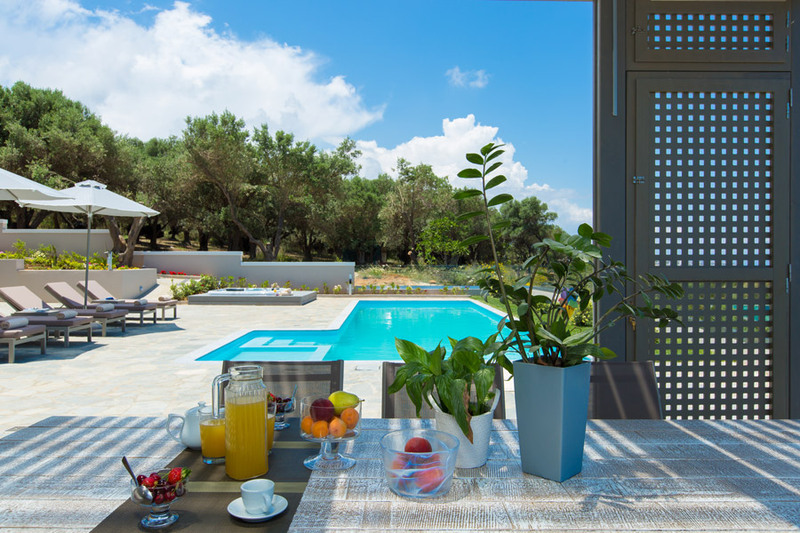 On the lower floor of the villa which has direct access to the pool you will find one more main bedroom with en-suite shower bathroom and closet room, the laundry room, the secondary kitchen and the playroom area where the whole family from the youngest to the oldest can be entertained. 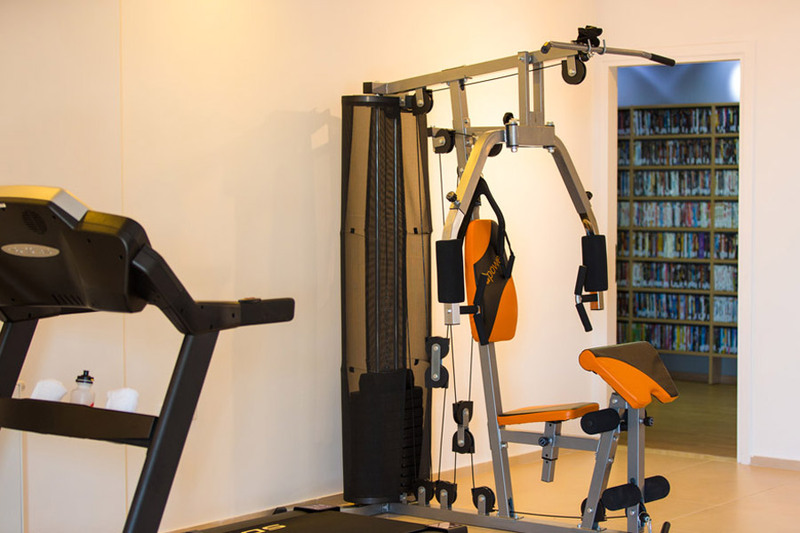 1) An organised gym area with treadmill and fitness multifunctional instrument. 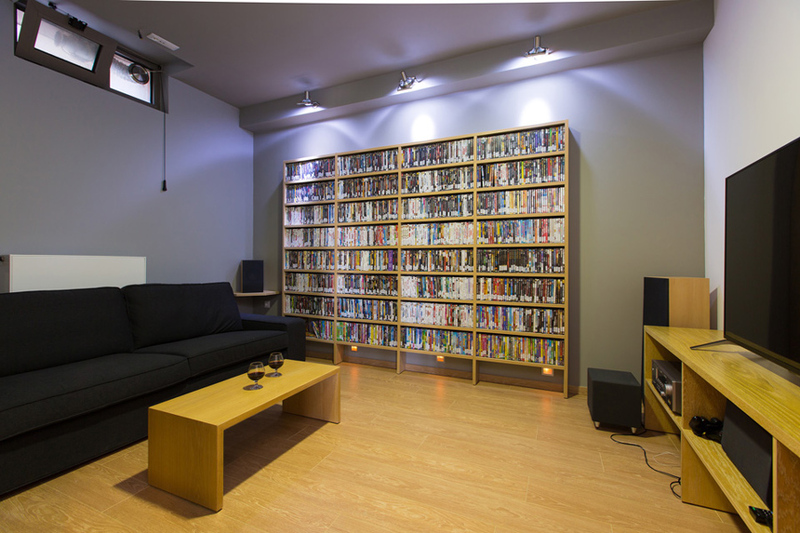 4) A cinema room with movie library (1,500 DVD plus 100 blu-ray disks) including DVD for children. 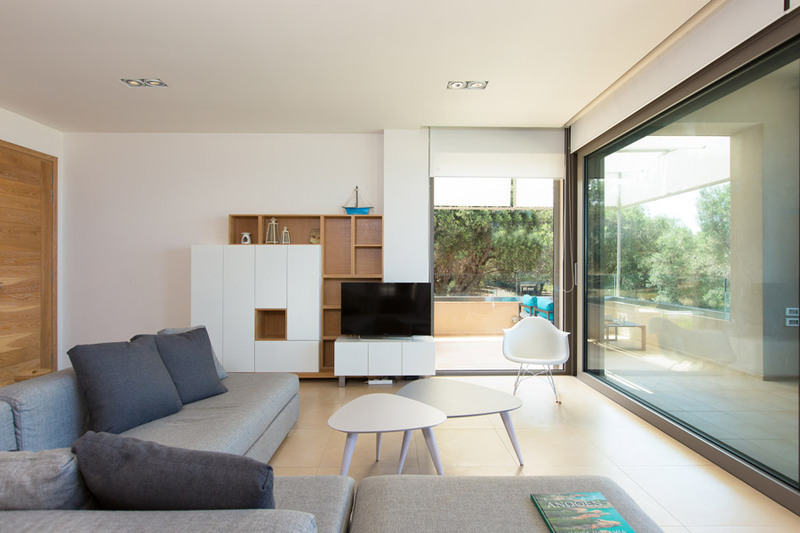 The room has a smart 55" UHDTV and 3D, 5.1 home cinema sound system and playstation 4 with games. 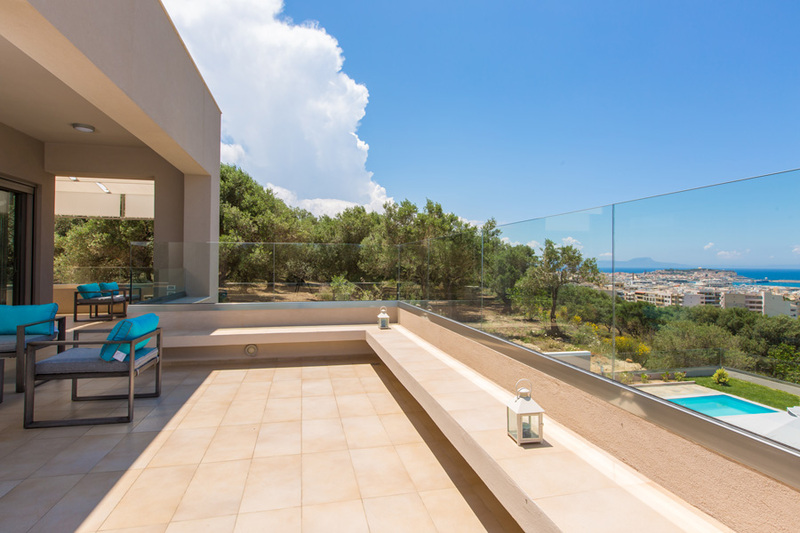 The unique fenced outdoor area is the highlight of our villa! 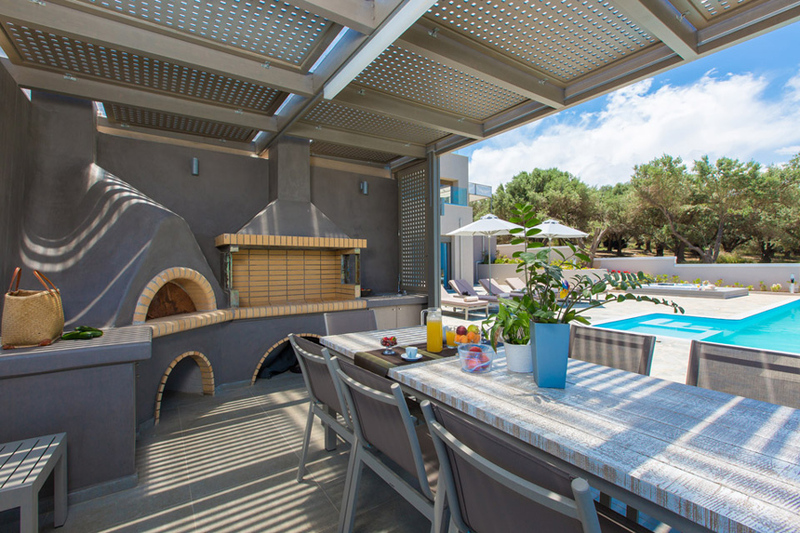 It contains a 50 square meters heated pool with shallow part for children and pool alarm, a hot tub, a fenced playground with games for children and a fully equipped barbecue with dining table under a pergola. 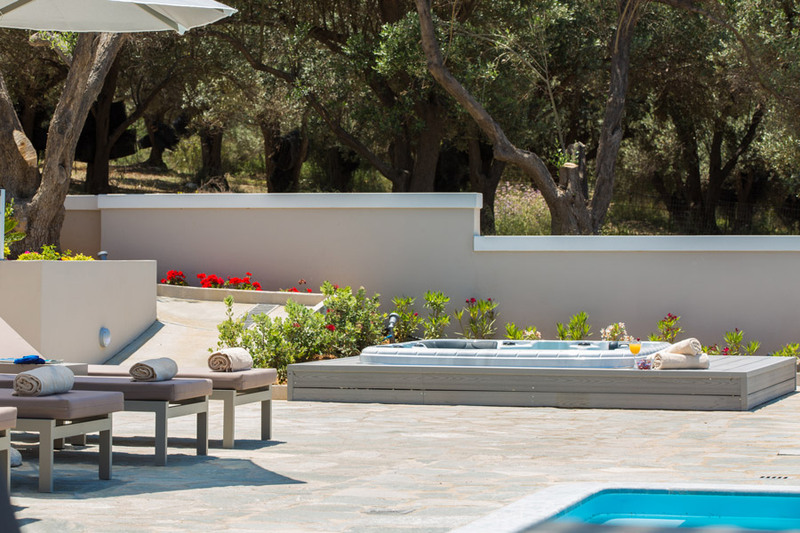 The whole outdoor area is totally private and fenced, offering 100% privacy and dynamic panoramic views to our guests! 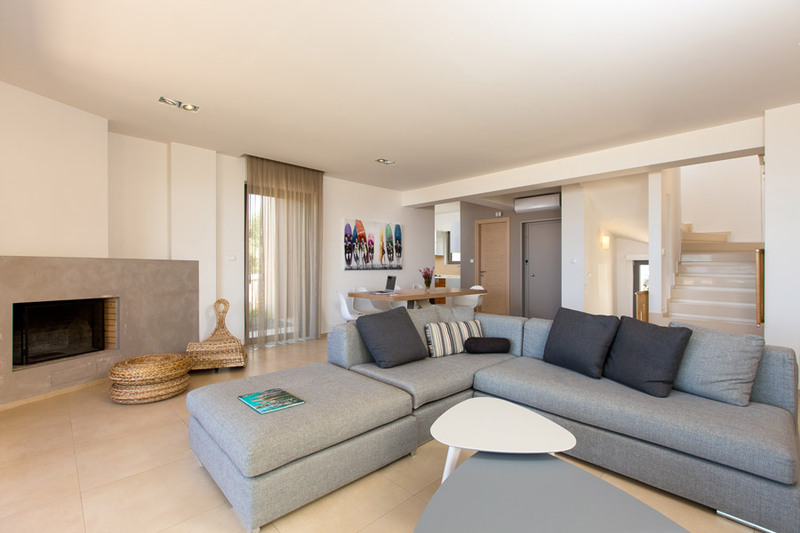 - Spacious indoor areas with all kind of facilities and the elevator which connects all the floors. 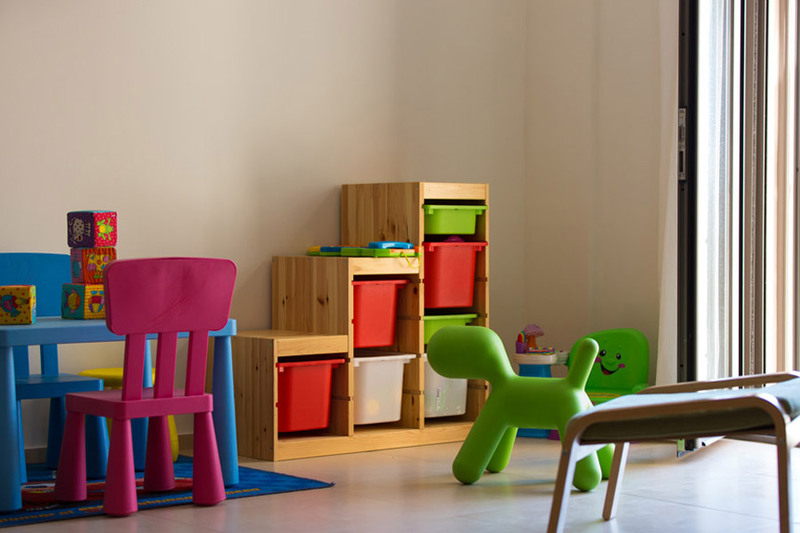 - Safety for children: indoor and outdoor fenced playground, pool alarm, stair gates and shallow part of the pool. 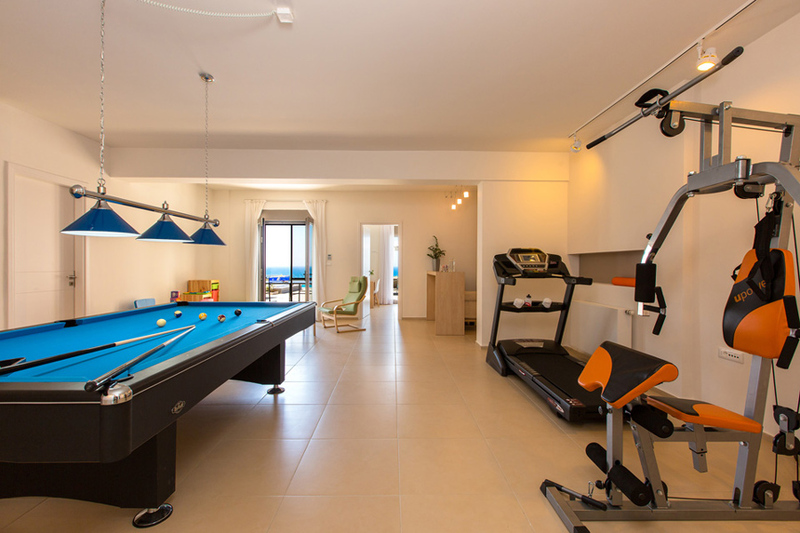 - Playroom with 9 feet pool table, table tennis, many games for all the family and fully equipped gym area. - Cinema room with movie library and playstation 4 with games. 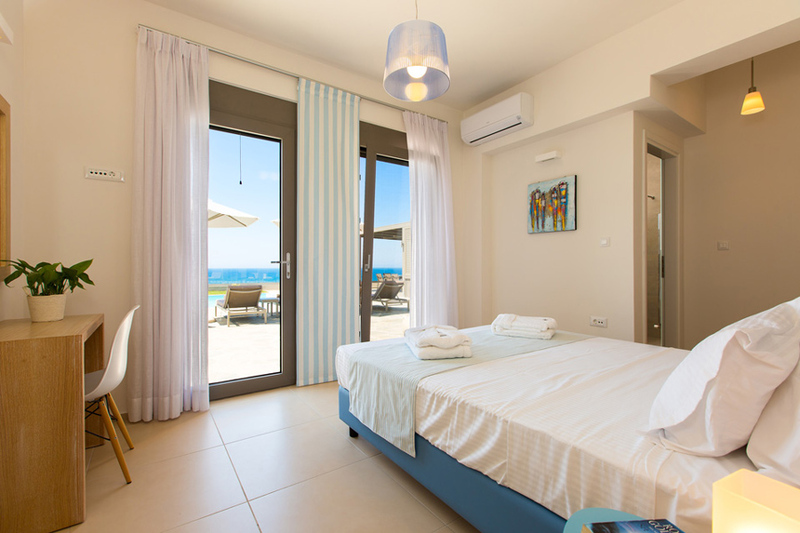 - Air condition and window screens in all areas to ensure comforts of the guests. 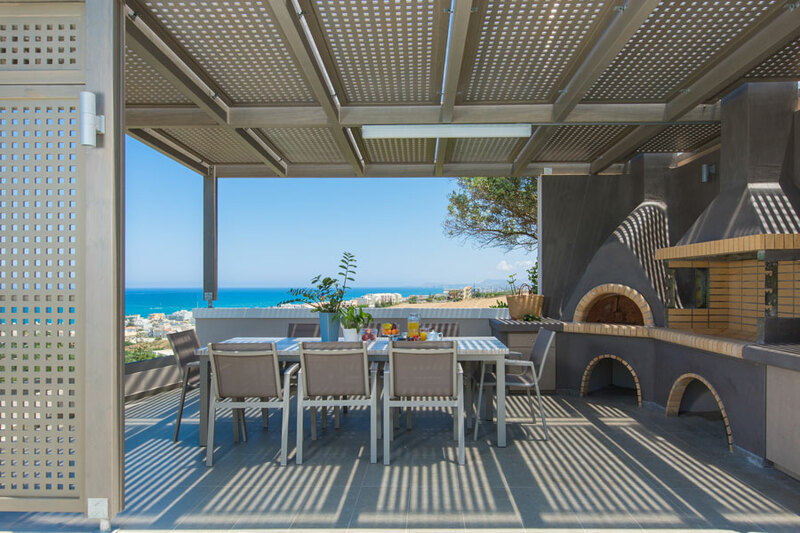 - Fully equipped and organised barbecue area with sea view. 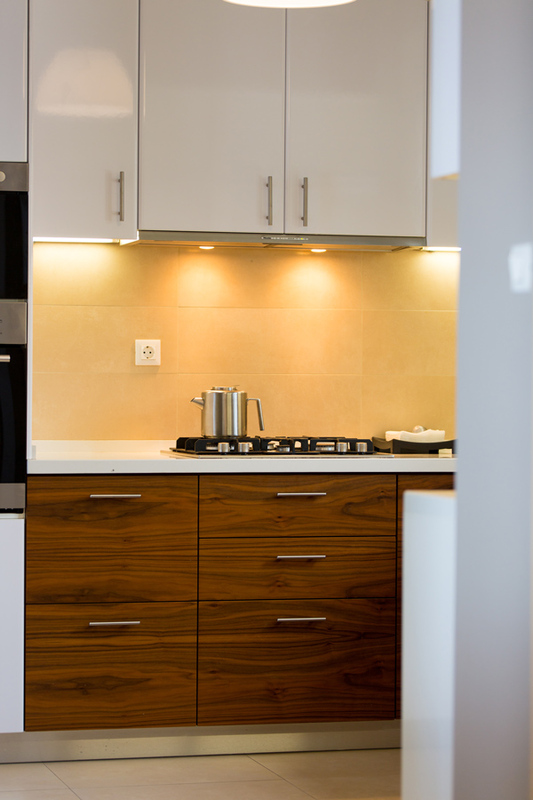 - The hospitality of the owner and his family who will be on hand with helpful advice and information whenever it is needed. The international airport in Chania is the second largest on the island and has exclusive Ryanair flights. Calcetto is an organised child park with a small zoo and soccer field where you can leave your children to play with professional educators. Any Greek living in rethymno will tell you to go to this place. A traditional tavern since 1972, offering Cretan cuisine based on recipes from the grandmother of the owner, in a very good value for money. You can choose between 35 to 40 different dishes of meat, fish, and vegetables, all prepared with fresh products. 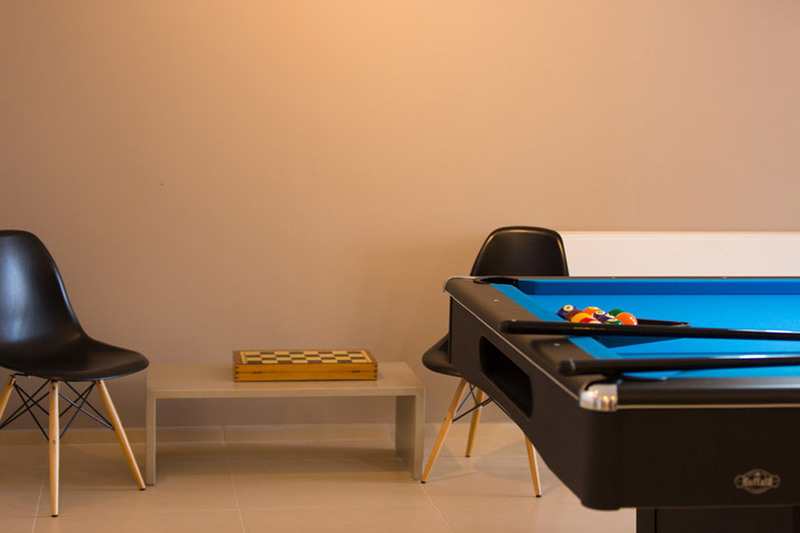 The tavern provides the customers with parking and an organized area specially designed for children to play.They also provide the take away service. Probably the best restaurant in Crete, if you ask a Local where to eat, is the first he will recommend. The setting is absolutely beautiful and very romantic. 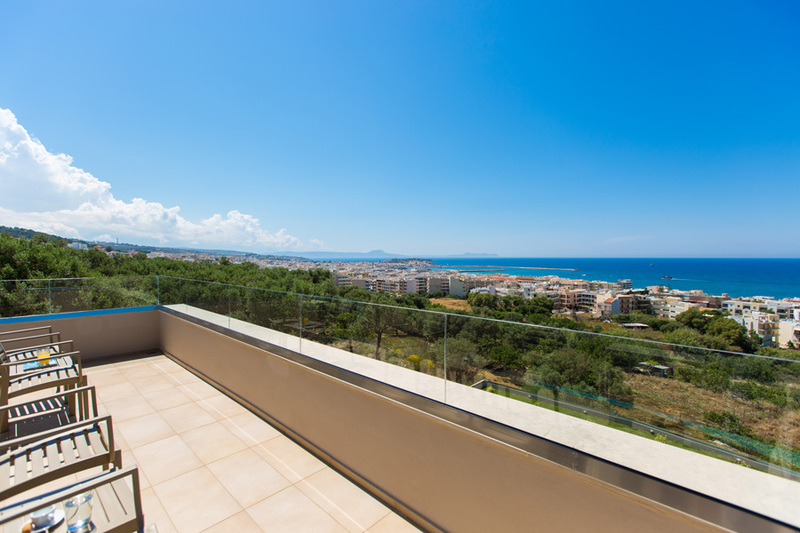 Views stretching along Rethymno city and out to sea. The food is extraordinary!!! Brand new Bar -Restaurant, probably in the best location of Rethymno city! Enjoy cool drinks, incredible cocktails & amazingly tasteful food!! All this together with unique sounds..
Long sandy beach west of Rethymno, partly organised with some beach bars. 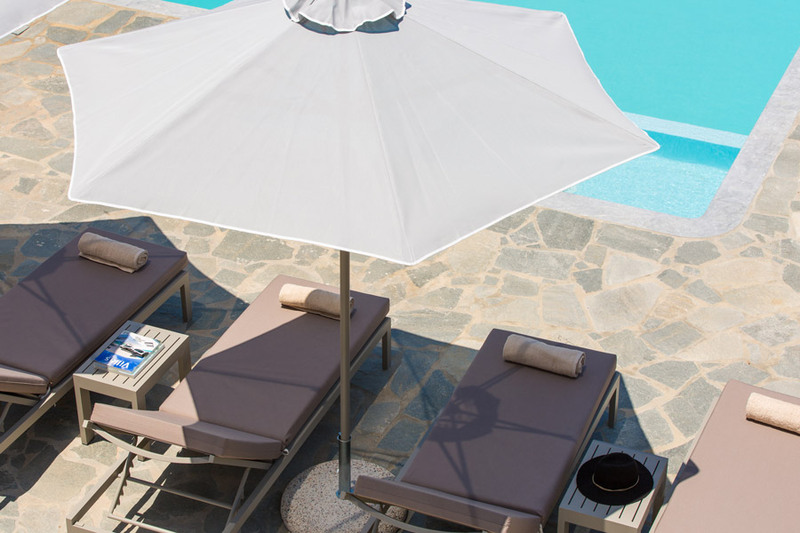 With pure sand and clean, shallow waters, Giorgioupolis beach is fully organized with sunbeds, umbrellas, lifeguard and tavernas all around. The highlight of the area is Kournas Lake and the sweet water bursting from various spots on the beach. 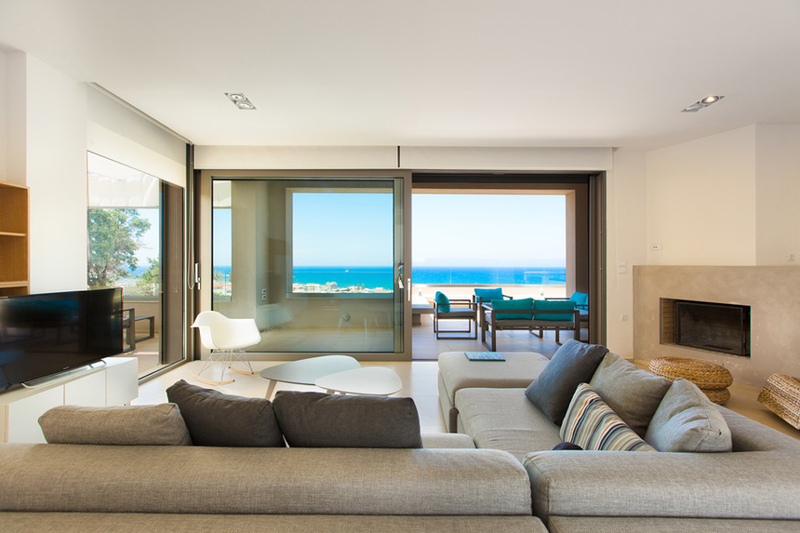 Do not miss out to have a walk up to Perastikos river, which divides the beach into two. At the point where Perastikos ends up to the sea, the waters are very cool and the vegetation around are unique. Take care of the sea currents and the waves on windy days. 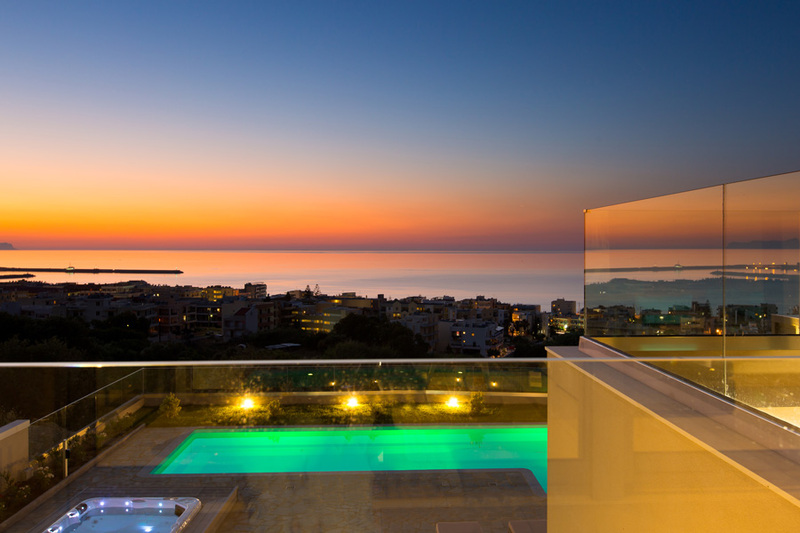 This coastal village is situated 20 km east of Rethymno. 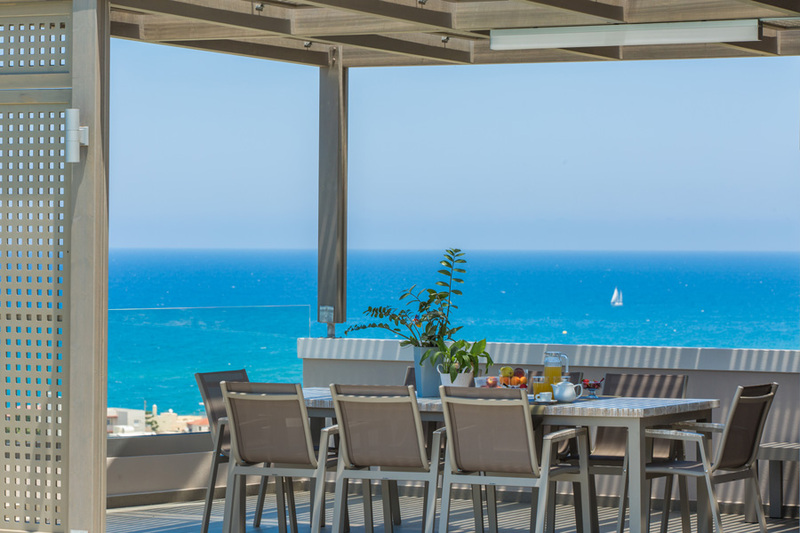 It boasts an organised beach as well as a variety of tavernas right by the sea. 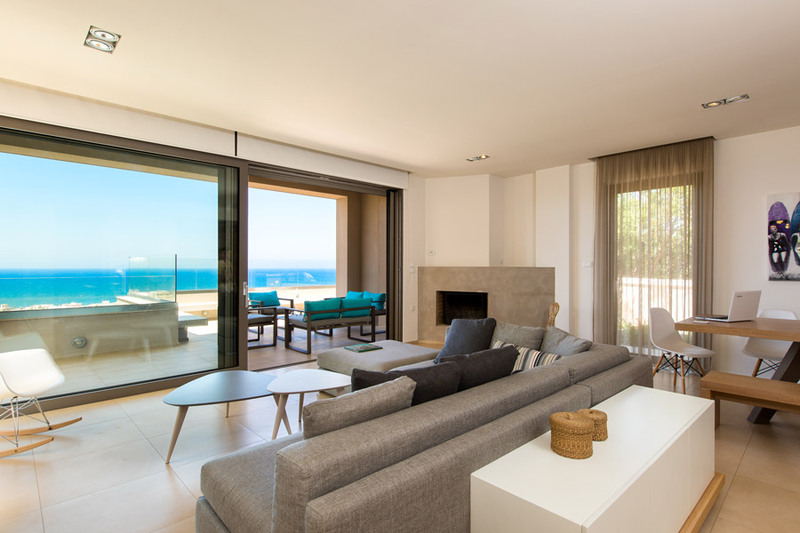 Nestling in the surrounding mountains of the bay of Bali you will find the coastal village of the same name 34 km east of Rethymno. 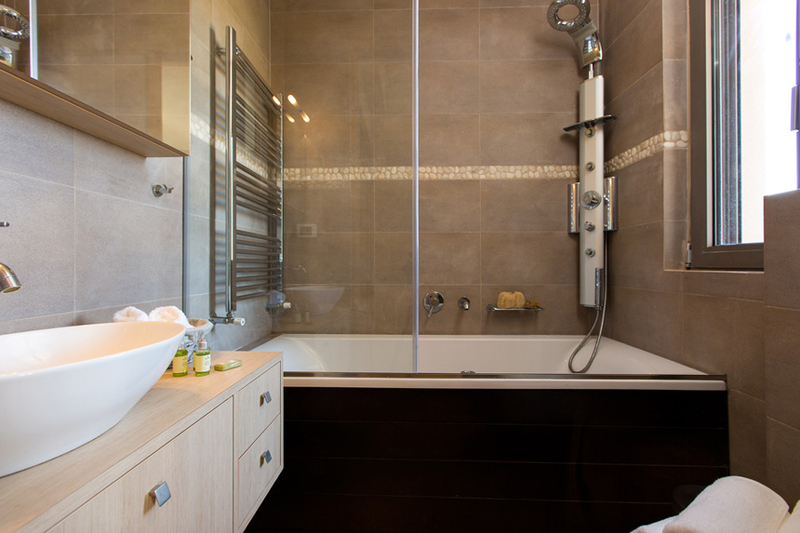 Visitors may choose from which of the small inlets to enjoy bathing at organised sandy beaches. The area offers a large number of tavernas and shops. Kournas Lake is the only freshwater lake in Crete. Kournas Lake is the ideal place for an afternoon walk or a daytrip nearby. Many people like to have an afternoon picnic there. The landscape is lovely and relaxing, whether you want to go for a walk in the countryside, swim or ride a pedalo on the lake. 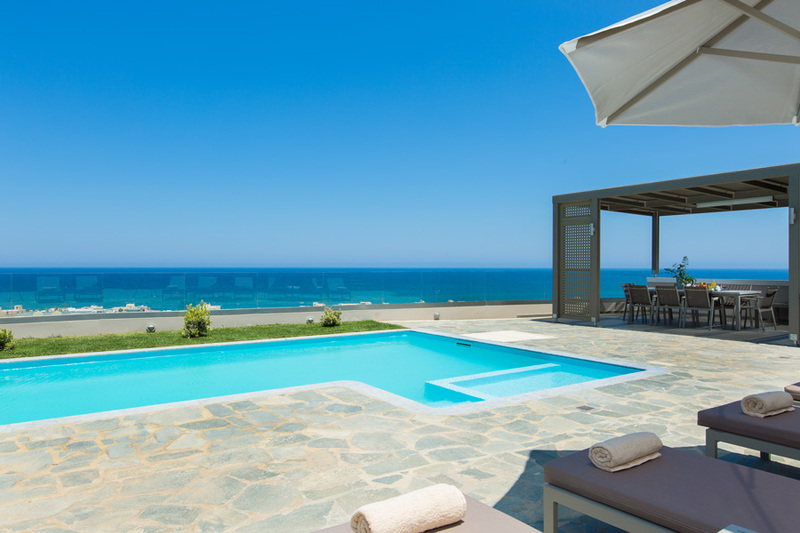 Hidden on a hill overlooking the city of Rethymno, close to Kastelakia area, Villa Naya is located in a private land surrounded by olive trees, on the outskirts of Rethymno offering the best location and sea view that you can find in the whole central Crete. 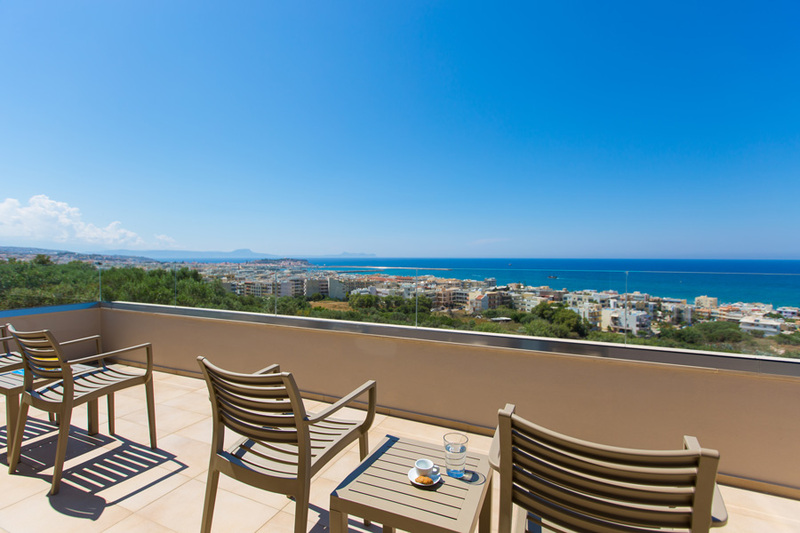 The closest beach to Villa Naya is the long sandy beach of Rethymno which is only 1 km away.